With 2 weeks to go in 2018, cash (short-term treasury bills) is king, outperforming all of the major global equity indices. 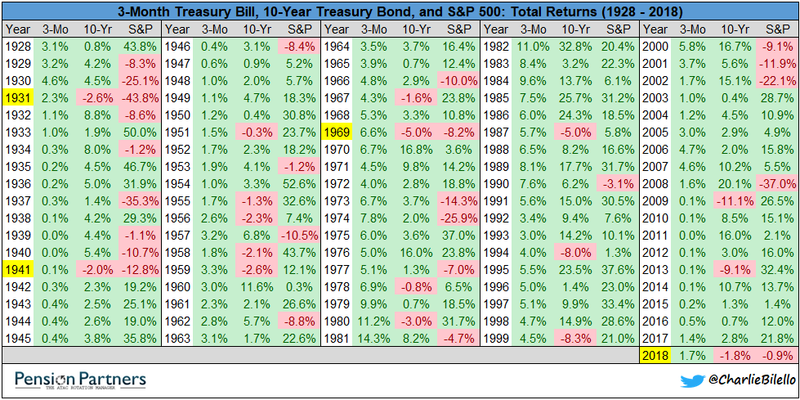 Intermediate-term bonds (10-year treasury) are also down on the year due to the rise in interest rates. 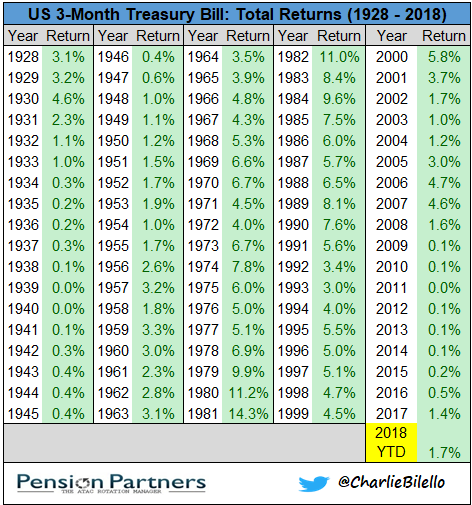 If this holds through year-end, it would be the first time since 1969 that both stocks (S&P 500) and bonds (10-year treasury) finished a calendar year with a loss. Meanwhile, Cash is on pace to have its best year since 2007 as the Fed continues to normalize interest rates. 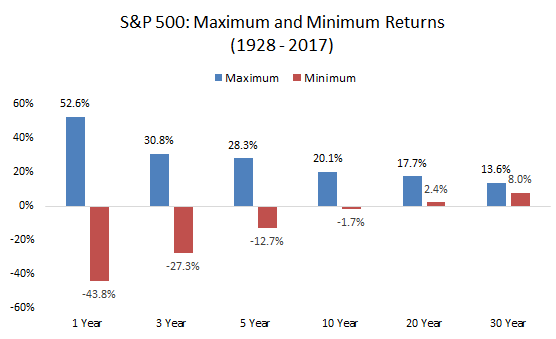 The greatest fear among many investors is that this trend will continue. 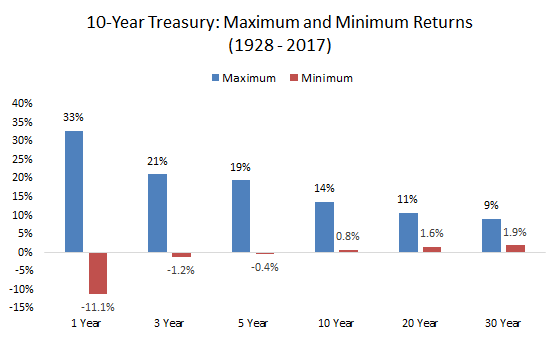 With elevated valuations in stocks and low yields/rising rates in bonds, perhaps this will be the case in the short run (1-3 years). 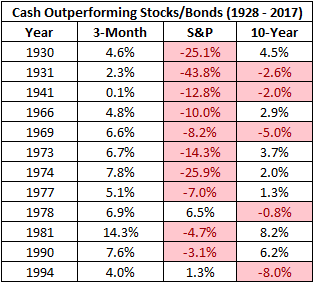 But in the longer run (20+ years), it is unlikely that cash will beat a riskier portfolio of stocks and bonds. That’s not to suggest that holding some cash to sleep at night, for emergencies, or to withstand the higher volatility in stocks/bonds is a bad idea. I don’t think it is. But you probably shouldn’t be rooting for that cash to be your best investment. An environment in which cash is king for any extended period of time is not going to be a good one for investors.